An ISO 9001:2015 certified company Sondhi Enterprises, is actively engaged in offering an assortment of services namely- Acrylic Coating, Epoxy Flooring, Epoxy Gloss Painting, Heat Reflective Coating, Polymer Modified Coating, Rubberised Waterproof Coating and Seal Coating. The company has under taken important projects with leading organizations.
" 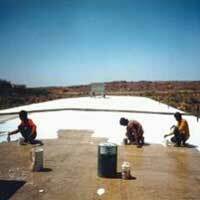 WATERPROOFING EXPERTS & CONSULTANTS "
DO YOU HAVE SEEPAGE/ LEAKEGE FROM THE ROOF? DOES YOUR DRAWING ROOM/BED ROOM WALL HAVE UGLY SEE PAGE PATCHES? DOES YOUR COSTLY PAINT PEALS OFF FROM THE WALL? 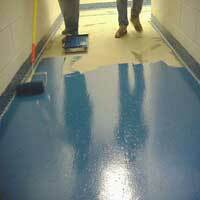 DOES YOUR BASEMENT HAVE SEEPAGE & LEAKAGE PROBLEM? "GET THE PROFESSIONALS TO WORK FOR YOU "
An ISO 9001:2015 certified company Sondhi Enterprises, is actively engaged in offering an assortment of services namely- Acrylic Coating, Epoxy Flooring, Epoxy Gloss Painting, Heat Reflective Coating, Polymer Modified Coating, Rubberised Waterproof Coating and Seal Coating. 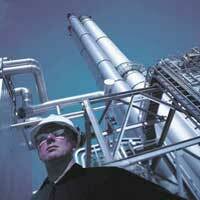 The company has under taken important projects with leading organizations. The technical specialists working with the company have proved their expertise and pioneering skills in each project we undertake. 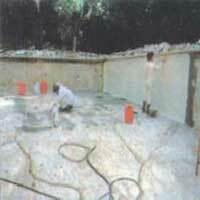 The company is recognized as a dependable “Waterproofing Experts & Consultant”. 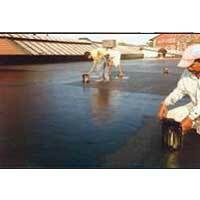 Also we hold immense expertise in offering highly reliable Services for Polymer Modified Bitumen Membrane. 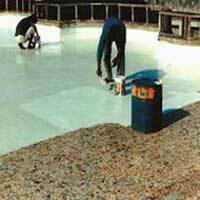 The company also diversifies its activity as a Manufacturer of Rain Guard V2k brand waterproofing products on hired plant, also is a wholesaler distributors for Uttrakhand of Argus Coating & Polymers Pvt Ltd with a wide range of epoxy`s ,waterproof wall paints, waterproofing products, waterproof- coatings ,sealants, admixtures ,anti corrosive coatings and adhesive bonds. A large percentage of repeat business is the evidence of the company’s success for over two decades.